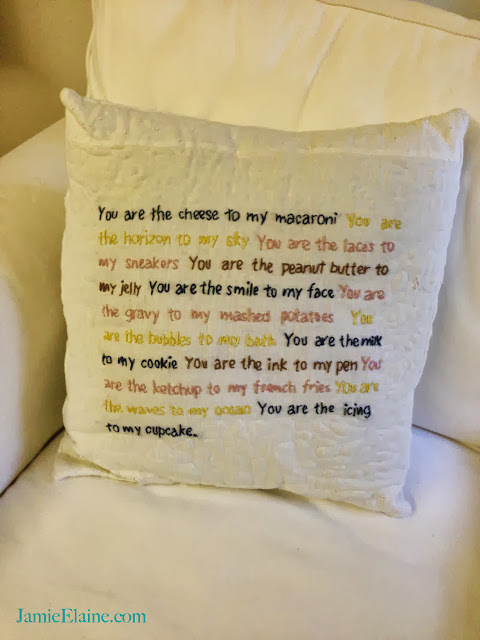 Excited to post pictures of this adorable pillow; it's embroidered with cute 'you are...' lines, like 'you are the peanut butter to my jelly'. Really cute in a nursery, or for an anniversary gift! They can also be personalized to include a baby's name, birthdate and weight, or a couple's names and their wedding date.